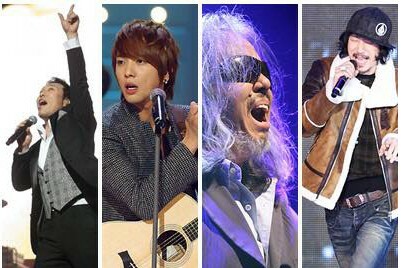 Tonight marks the 6th anniversary of renowned live entertainment show, YooHeeYeol Sketchbook. Many of Yoo’s colleagues came to perform for the event, giving audiences a rare opportunity to see some of the greats collaborate on stage together. Backstage, Tiger JK also met LeeMoonSeh, a veteran R&B musician and TV personality. Lee MoonSeh took this as an opportunity to talk to JK about collaborating with Tasha. He is a fan of Tasha’s raw R&B/hip-hop sound and proposed a song together would produce a unique track. Tiger JK agreed and both look forward to making the collab happen. Yoo HeeYeol Sketchbook airs tonight May 8th, 11:55PM on KBS 2TV. Previous Post[news] Rapper San E: “When I Was Younger, I Dreamed of Being Tiger JK”Next Post[Interview] MFBTY Reveals Hidden Gems from “Wondaland,” What They’re Listening to Right Now, and More!